The Art Appreciation Group organise visits to Art Galleries as well as Art Tours in the UK and abroad. Tuesday 2 April: Talk by the Curator of Decorative Arts at the Walker Art Gallery on the highlights held at the Walker of objects from the 13th to the 21st century including glass, ceramics and textiles. Meet at gallery foyer at 10.45 for 11.00am. Monday 6 May: Curator Zanthe Brooke (leading expert on Spanish painting) will give us an insight into the fascinating story of the major work “Virgin & Child in Glory” by the Spanish painter Murillo. One of the greatest paintings in the Walker collection, this was originally commissioned for the Archbishop’s Chapel in Seville and has had a dramatic history, having been looted, traded and vandalised. Meet in foyer of Walker Art Gallery at 10:45 for 11.00am talk. NB this date is also the last day of the Leonardo Drawings exhibition (free) and also an opportunity to see the new exhibition on Charles Rennie MackIntosh. If you wish to join us for either event – please ring 01695 570 582 or 07432 859 202. This year’s winter art tour provided a range of unique experiences for members of Aughton & Ormskirk U3A. Our first stop was the wonderful Wightwick Manor, a Victorian mansion, built for the Mander family whose fortune came from the manufacture of a popular brand of paint. Both Theodore Mander and his wife Flora were passionate followers of both the Aesthetic and the Arts and Crafts style and the house remains a testament to their collecting skills, with wallpapers by Morris & Company, tiles by William De Morgan and a stunning painting ‘Love Among the Ruins’ by Edward Burne-Jones that reduced Andrew Lloyd Webber to tears when he made a film about the house and its contents. From Wightwick Manor we travelled on for a related visit to the new William Morris Gallery in Walthamstow where we learned more about the great man and his legacy. 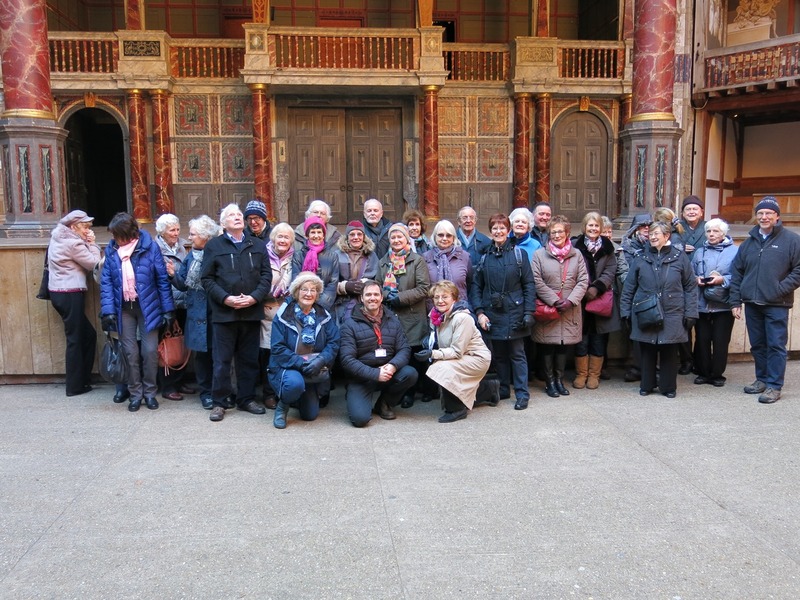 The next day began with a clipper trip from our riverside hotel to the Globe Theatre, where with the help of a witty and knowledgable guide, the life and times of the original 1599 Globe were brought stunningly to life. The theatre remains an enduring wonder and a fitting memorial to the vision of the American actor, Sam Wanamaker, who drove it into existence. After lunch, with a rapid change of gears, we had tours of the Tate Modern Gallery where the collection provided a stimulating source of thought and opinion. 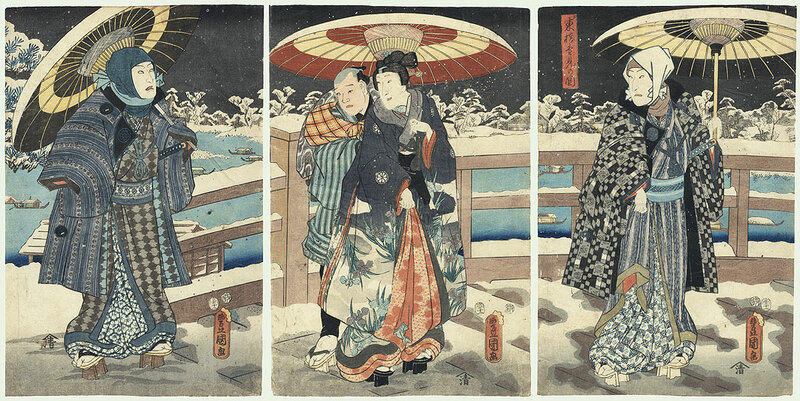 Our guides provided real insights into works which challenge, provoke and inspire. The next day began with an early visit to the sumptuous Leighton House Museum whose conventional Holland Park exterior provides no clue to the Arabian Fantasy interior it houses. Frederick Lord Leighton was an immensely successful and wealthy painter who wanted to create the ‘House Beautiful’ following the precepts of the Aesthetic Movement. The centrepiece of the house is the Arab Hall which was created to house Leighton’s collection of Islamic tiles which remains one of the finest in Europe. We had timed out visit to coincide with a landmark exhibition which reunited Leighton’s 5 final paintings for the first time since 1895. The star of the show was ‘Flaming June’ which depicts a sensual, sun-drenched sleeping figure wrapped in orange draperies against a Mediterranean backdrop. The painting, which was rapturously received on its first showing at the Royal Academy, has had a chequered history in the intervening years. It was discovered behind panelling by builders renovating a house in the early 60’s who sold it on to an antique shop. There it was spotted by a teenage Andrew Lloyd Webber who pleaded with his grandmother for the 60 guineas he needed to buy it. She responded to his pleas with the assertion she would not have ‘Victorian junk cluttering up her walls’. The painting was eventually bought by the Governor of Puerto Rico who took it back to South America and donated it to the Museo de Arte de Ponce where it has remained as the star exhibit from 1965 until its present visit to London. Its estimated value today would be between 40 and 50 million pounds. Our final London visit was to the Victoria & Albert Museum which offered an eclectic mix of exhibitions on topics as varied as the history of underwear, Kipling’s India, Revolution in Pop culture in the 1960s and a revelatory exhibition on Medieval textiles. Opus Anglicanum (English Work) gave a vivid account of a period of time from the 12th to the 15th century when the work of English embroiderers became one of the most sought after luxury commodities in Europe. The craftsmen and predominantly, in the 13th and early 14th centuries, women, took a precious material, such as fine woven linen, a bolt of silk damask or a delicate velvet and then spent weeks or months adorning it with silver and gold thread, seed pearls and gems to produce an intricate work of exquisite beauty. The examples displayed here had travelled from Bologna, Toledo, The Vatican, the Metropolitan Museum of New York and Lancashire (a wonderful set of Tudor vestments from the Towneley Gallery). These, together with the V&A’s own prodigious collection provided a spectacular insight into this little known area of our artistic heritage. The fine town of Cheadle in North Staffordshire is home to St Giles’ the finest Gothic Revival Church in England. This extraordinary structure was commissioned by John Talbot, the 16th Earl of Shrewsbury and is the work of Augustus Welby Northmore Pugin. The brief given to the architect was seemingly a simple one – Talbot wanted to build a church ‘that would have no rival’ and to this end a generous budget was allocated to the project. Pugin’s meticulous eye for detail was put to work in a preparatory visit to the early churches of Norfolk where his drawings (now in the V&A) included details of mouldings, tracery patterns and canopy work. He wrote “I will not let anything pass for Cheadle that is not the true thing. It must be perfection”. The degree to which he succeeded may be inferred from a letter written by the Earl to Pugin in which he mentions the proposed visit by a relative to Cheadle ‘to see the Gem’. Whether or not the Earl originated the sobriquet ‘Pugin’s Gem’ it has certainly stuck and remains the popular name for St Giles’ to this day. Our guide to the church on this occasion was a man who is part of a team who work tirelessly to maintain the fabric of this wonderful structure, John Smith. His enlightening commentary and generous donation of time helped to enhance what was already a memorable visit (and one that several members are keen to repeat). Our thanks go out to him and to the parishioners of St Giles’ who gave us such a friendly welcome. So a packed and diverting schedule enhanced by the easy good fellowship of those who shared the journey. Each will have their own highlight but all would agree this was time well spent. The tour based in Edinburgh, stayed at the Hilton Grosvenor on a half board basis. The programme included a special access visit to Sir Walter Scott’s Gothic fantasy country home Abbotsford, the January exhibition of Turner watercolours at the National Gallery, Holyrood Palace, the Queen’s Gallery, the newly refurbished National Portrait Gallery, a walking tour of Edinburgh seen through Ruskin’s eyes, Rosslyn Chapel and Dryburgh Abbey. Also a lively public performance by our guide, Paul O’Keeffe, in the role of Ruskin lecturing on the life, work and death of JMW Turner. Julie Lawson, curator of the Portrait Gallery, gave additional input on two days. The Art appreciation Group visited Ruskin’s House at Brantwood via the Steam Yacht Gondola on 17 July. Pictures show Mary Glennon taking it easy, Dermot Glennon and Owen Connolly enjoying the lake tour, Stephen Turner and tour guide, Paul O’Keeffe Brian and Lorna King enjoying the shade the lake from the gardens a group with the head gardener. A trip to Madrid, Toledo and El Escorial with local guides in May 2013. This included visits to the Prado, Santa Maria della Florida, the Thyssen Bornemisza Collection in the Palacio de Villahermosa and the Centro National de Arte Reina Sofia with Picasso’s ‘Guernica’. At the end of January, 45 of our members experienced a hugely enjoyable tour of London and the Thames with the the Art Appreciation group. On the way to their Hilton Dockside Hotel, with its fine views of the river, they were given a fascinating guided tour of Stratford-upon-Avon. Their informative visits to Hampton Court, Greenwich, the Museum of London, Westminster Abbey and the Houses of Parliament were all led by expert and enthusiastic guides. Towards the end of the tour they enjoyed a late afternoon sail on the Thames Clipper, passing many of the fine buildings they had visited, now dramatically illuminated in the fading light. All agreed that both the learning and the friendship had been fun.